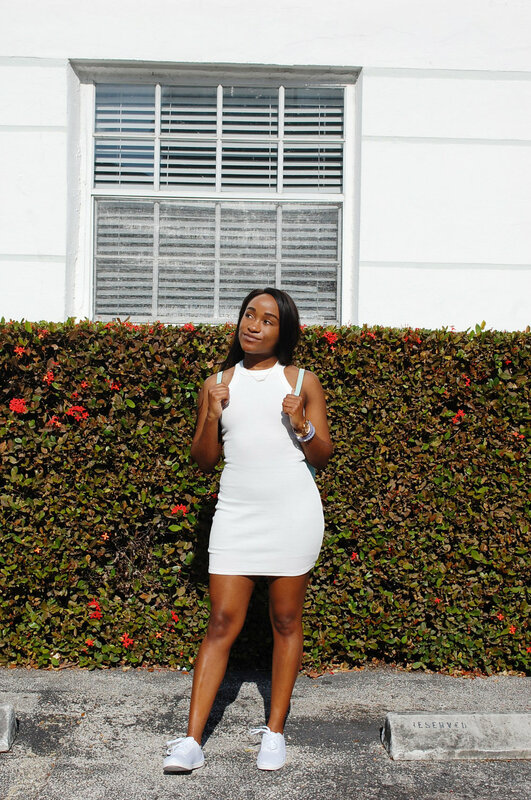 For my second day in SoBe, I went with a comfy A line bodycon dress and some chill sneakers in the signature Miami color: white. ❄️⛄️❄️ Not sure how to channel your inner icy female Gucci Mane? I got you. 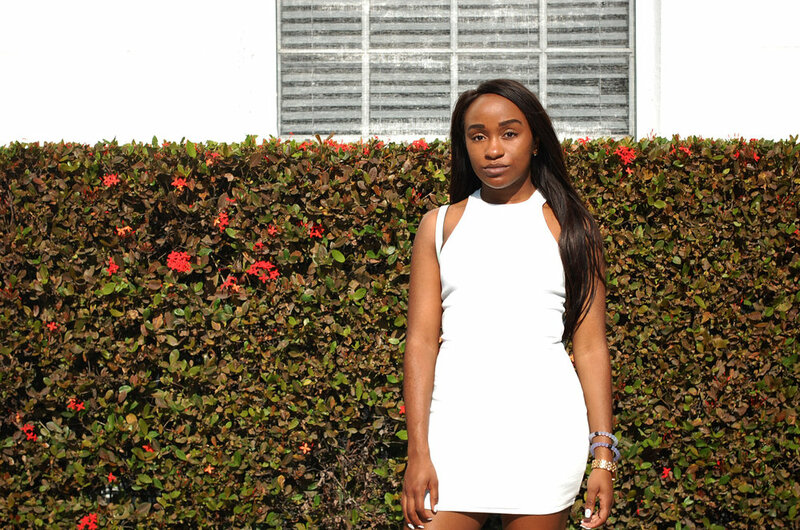 STYLE SCOOP: Styling your all-white look isn't nearly as difficult as you think. Since Miami is home to tropically warm weather year-round, you can always opt for your look to include a breathable fabric like cotton, mesh or linen. In The Sunshine State, anything goes (especially if it's white hot), so you can rock a mini skirt, a t-shirt dress, a beachy co-ord set or pretty much anything in between. Once you've got your main garment figured out, the next step is simple–- always add a pop of color. Whether you're partial to the neon motif of South Beach or you like a bright pop of red or yellow, any accent colored accessory paired with a crisp white fit is a major win. Sit tight bb, more vacay vibes coming ***real*** soon!